Find My Workspace lists over 95% of the business centres market in Sheffield. Simply click Request Quote to check pricing for one office, or Add to Basket for multiple offices. Modern office space available on flexible terms in prominent corner position on Solly and Tenter Street in the heart of Sheffield. Situated across the ground and first floor of a popular business centre, this space has a high-quality finish and benefits from an abundance of natural light due to the open plan layout. 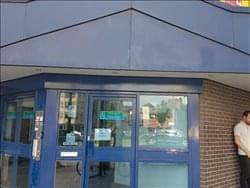 The office is accessible 24-hours a day and has security in place along with on-site cleaner and central heating. Meeting rooms are available for tenants to use which is great if you have clients visiting the office. Additionally, there is car parking on site which can accommodate up to 35 cars, ensuring you can park at the office with ease, alternatively there are many city centre car parks within walking distance. This office is in a premier location and is a great option for both start up and existing businesses! 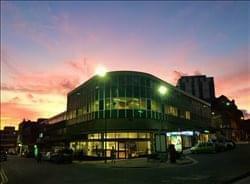 This centre prides itself on a community of friendly, energised, diverse people – with four floors of daily events, pop-up cafes and a buzzing atmosphere. Whether you are an established business looking to relocate, or a new start up ready to grow your brand, this centre offers everything you could need to get going. The centre offers office, co-working and meeting space. You will also find an in-house cafe that serves different types of street food all the time, as well as tenants benefiting from super-fast WiFi, 24 hour access and CCTV. 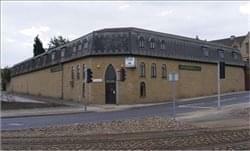 This business centre is a purpose built site which consists of 27 office and workshop units. Office units range between 115 to 202sqft, with workshop units ranging from 148 to 239sqft. Designed for easy access, these single storey units all have their own entrance and is self contained. Each unit is individually metred for electricity, with toilet and washing facilities shared for workshop users. 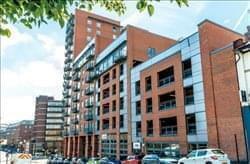 Offices are centrally heated, and amenities include access to a communal kitchen and toilet facilities. Again, electricity is individually metered for each office, with heating invoiced on a pro-rata basis.